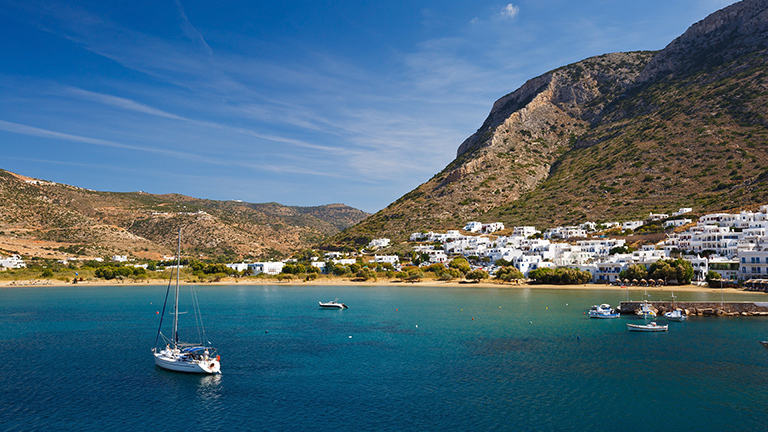 Cyclades are one of the world’s best-known sailing destinations. With beautiful islands such as Santorini, Mykonos and Paros, yacht charter in the Cyclades is a spectacular and unforgettable experience. 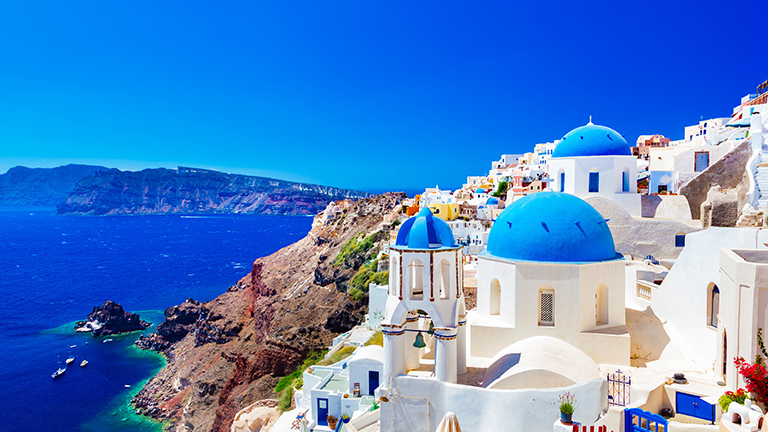 When sailing this magical part of the Mediterranean, your first stop should definitely be the largest island of the group, Santorini. There, you can go hiking the famous Fira Trail, go donkey riding or swimming in the hot springs! Among the most popular of the Cyclades is the island of Mykonos, which offers a great variety of motor yachts for charter. It is a true jet-set heaven, where you can enjoy the most luxurious resorts and try exciting water sports. All archaeological buffs and Greek mytholgy lovers will definitely enjoy a visit to Delos, the sacred island in the central Cyclades, a birthplace of twin gods Apollo and Artemis. 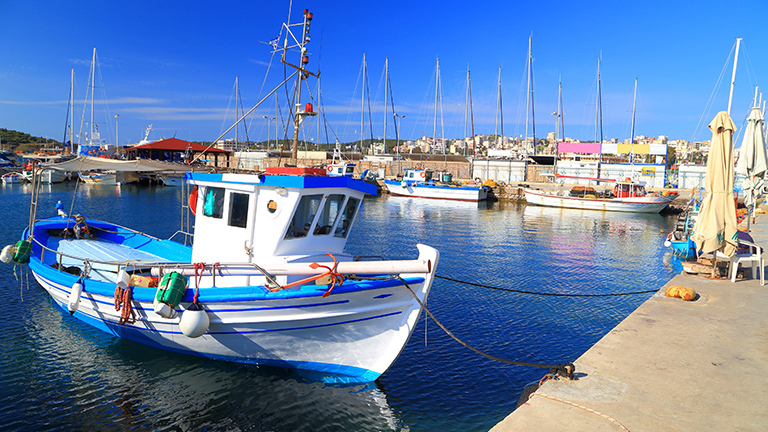 If you want to charter a yacht on the idyllic Paros, do so in the lovely and vibrant village of Parikia. Try the finest Greek dishes in its many restaurants and explore the island’s history by visiting Panagia Ekatontapiliani, ''The Church of 100 Doors”. 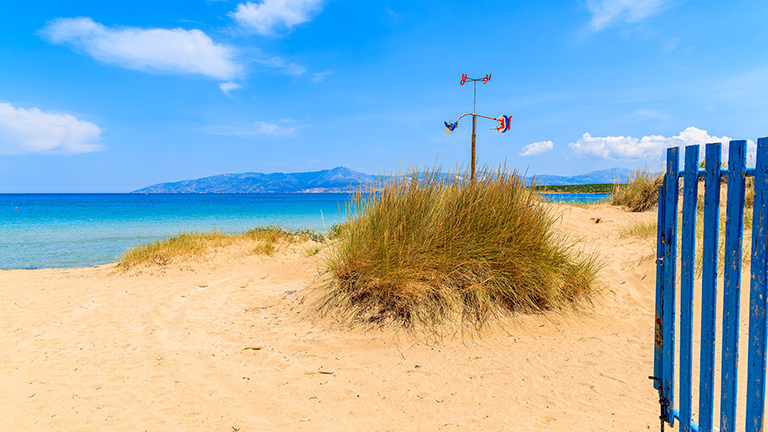 From there, enjoy a relaxed sailing trip to the Golden Beach (Chrissí Aktí) on the southeast part of the island. 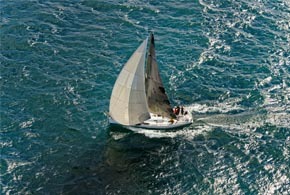 As it is the case in the rest of the Mediterranean, the best weather for sailing is high season (July - August). However, sailing conditions are good from April all the way until the end of October, so if you want to avoid crowds, low season will be the right choice for you. When you land in Athens International Airport, take a 40-minute bus or taxi ride to Lavrion, your starting point. 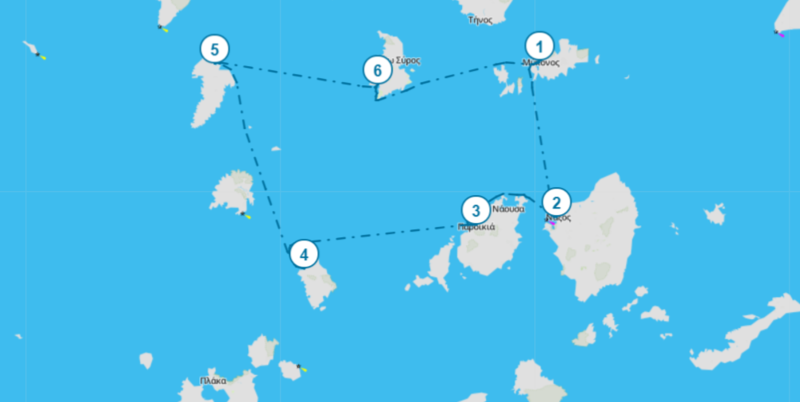 After check-in, make yourself comfortable on a yacht and sail around 15 NM east towards the island of Kea. Moor in the biggest and safest bay of the Cyclades, Aghios Nikolaos, in the small fishing village of Vourkari. Its location grants Vourkari to be protected from winds. Therefore, you will see a lot of fishing and sailing boats in the area. 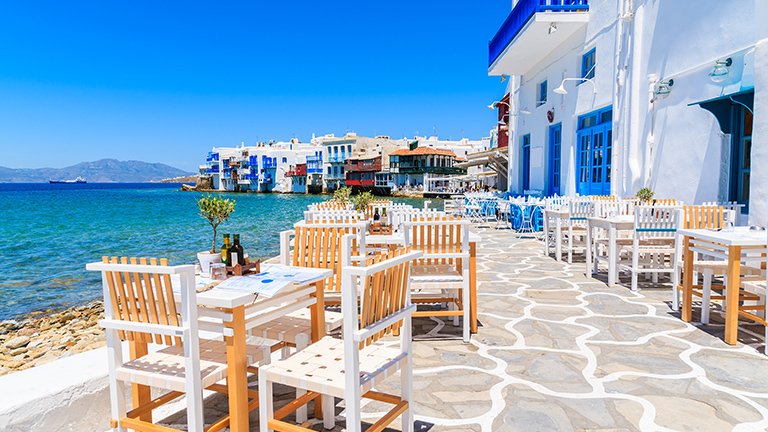 Restaurants have specialized in fish food (make sure to try lobster) and you can always try some traditional specialties with a glass of Greek wine. Visit a small art gallery that houses island-related paintings. The island has beautiful beaches, such as Liparo and Kambi, where you can peacefully lounge, swim or wreck dive, and there is a good system of walking paths. Raise your sails early to reach Finikas on the island of Syros located around 41 NM east. 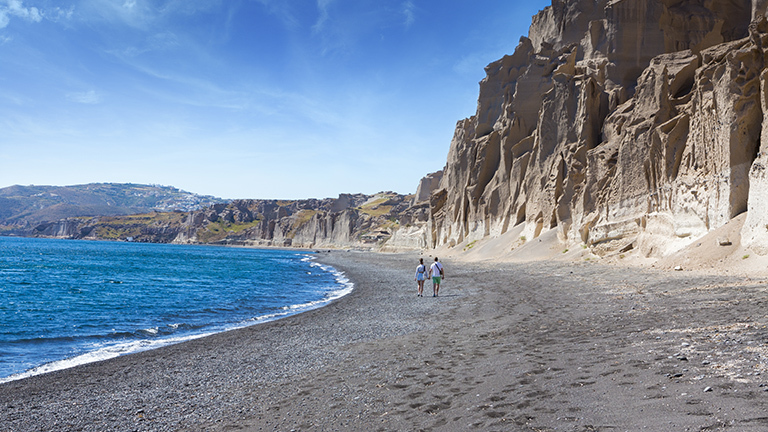 Make a swimming stop at bays of Loutra or Agia Irini on the island of Kithnos to break the long journey. Enjoy nice and relaxing beaches near Finikas (Kokkina, Fetouri and Finikas beach) equipped with tourist facilities and accommodation. Since Finikas is a rather small sheltered harbor in a naturally beautiful bay, it can get a bit busy during high season. Moor at the marina or anchor offshore, but be careful about winds. There are all needed facilities, supplies and services in the marina. Greek cuisine is a must-try in one of taverns and bars. The island’s atmosphere is ideal for families and couples. Your next destination Parikia is 24 NM southeast and is the capital, main harbor and cultural center of the island of Paros. It is amphiteatrically built around the port in a typical Cycladic architecture. A magnificent whitewashed trademark windmill will greet you at the entrance of the port. The town’s road divides the town into two - one side is occupied with restaurants and bars, while the beach occupies the other side. Parikia is also built around the hill of Kastro with ruins of the castle built in 13th century on top of it. 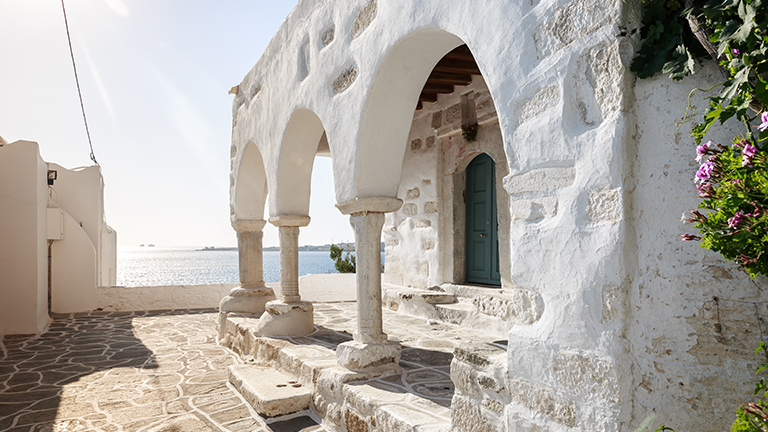 The most important and oldest church is the Byzantine Church of Panagia Ekatontapiliani that also houses a museum, and you can visit the Archaeological Museum of Paros as well. The most famous beaches on the island are Golden Beach, New Golden Beach, Kolymbithres and Santa Maria, ideal for windsurfing and kitesurfing. 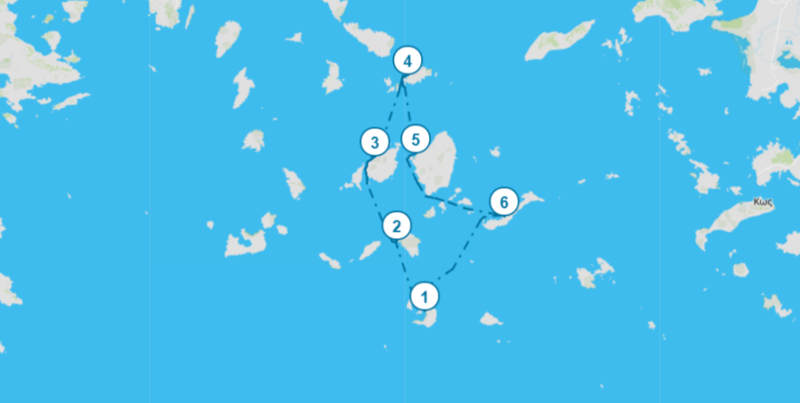 Sail 29 NM to the west and you will reach the island of Sifnos. 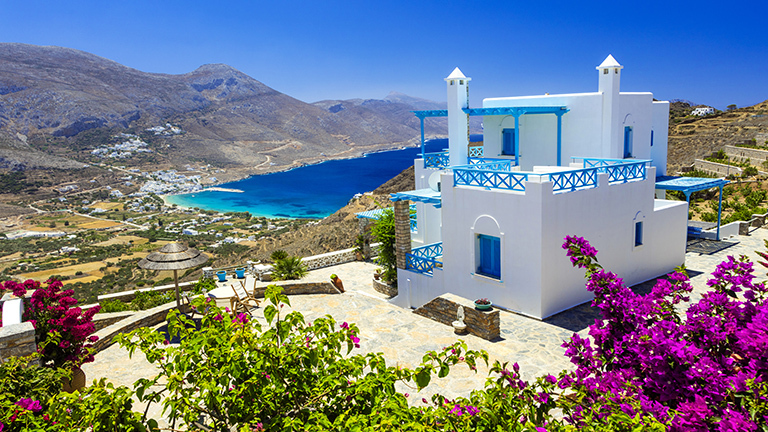 Surround the island on its north side to reach a beautiful bay and the village of Kamares, a port village on the island of Sifnos. The island is perfect for relaxing on calm sandy beaches (Cherronisos, Kamares and Vathi) that have watersport facilities and crystal clear sea. Moor in Kamares and stroll the narrow paved streets set between stone houses. The village is one of the best-known ceramic production centers in Greece. Make sure to try delicious Greek specialties, such as Greek salad, chickpea soup and Moussaka, in seaside taverns. The last island you will visit is the mountainous island of Kythnos and the village of Loutra located around 32 NM north. The island is a wild beauty with small secluded beaches perfect for complete relaxation. On the west side of the island, there is the most beautiful, the most famous and the most crowded beach - Kolona - a long stretch of sand that gets into the sea thus creating two beaches. Loutra literally translates to ‘baths’ and is a popular spa resort with healing mineral springs and thermal baths. It is situated in a natural bay and is close to an important archaeological site. 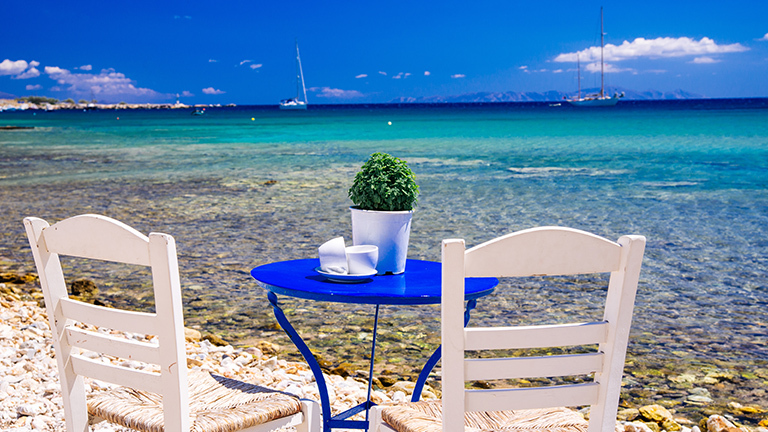 You can sunbathe on the beach and enjoy Greek delicacies in a variety of restaurants with friendly vibe. Return to your starting point Lavrion located 27 NM north-northwest. The bay has an amazing view of the island of Makronisos. Lavrion is famous for silver mines (silver was mainly used for coinage) and ruins of the oldest and biggest amphitheatre in Greece. Do some souvenir shopping. 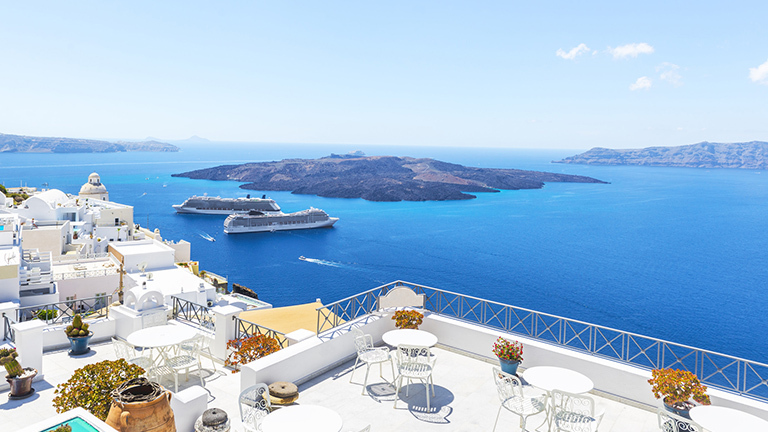 Opt for fresh fish in a restaurant or for a traditional meal and distinguished barbecue dishes, and drink a traditional aperitif Ouzo, as well as a glass of white or red wine. Spend your last day having breakfast in a serene atmosphere on the yacht. Check-out, stroll around town, have coffee and lunch. Athens is a half an hour away, so visit the capital of Greece and historically important city if you have time. Make your way to the airport and travel safe. Arrive to Mykonos International Airport and head to the Mykonos Port where you will check-in and board your yacht. 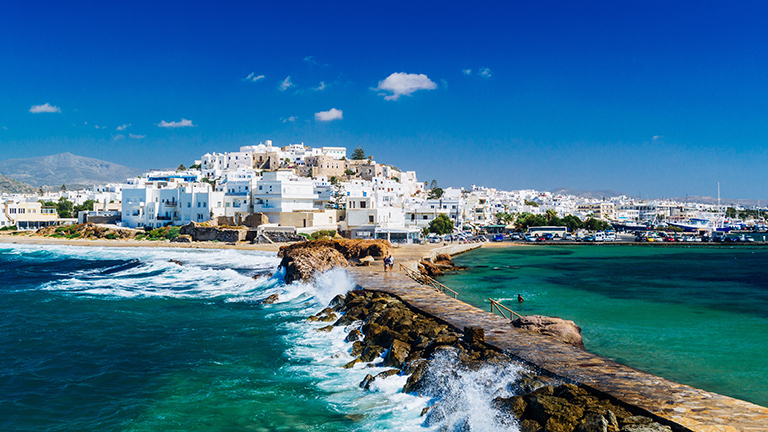 Head 22 NM south to Naxos island, the largest and most prosperous island of the Cyclades. Locals are involved in agriculture, so make sure to try local cheese, potatoes, sefoukloti (chard pie), kokoras me makaronia (baked rooster dish with pasta and tomato sauce), kitron (citrus liqueur) and fine wines. 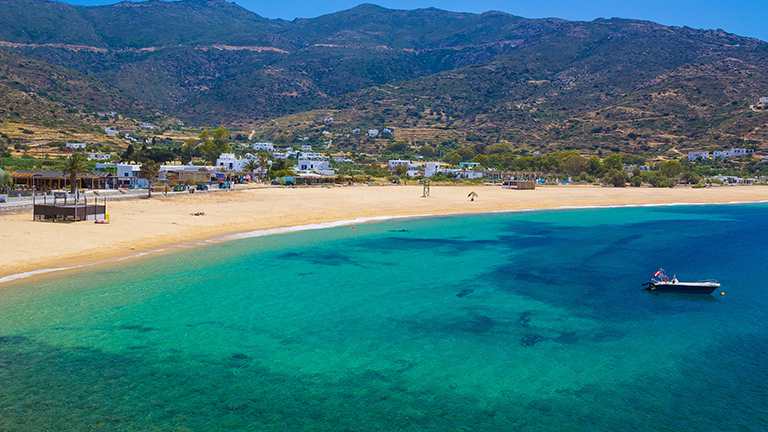 Most of the beaches are near the main village Chora, with some of them being organized and some more secluded. Do not miss an opportunity to lounge on white sand of the Blue Flag beach Agios Prokopios. Discover mysterious caves by boat. Walk through traditional villages full of stone houses, take a bike tour or go horseback riding. See Portara, the trademark of Naxos, that represents an entrance to a temple dedicated to Apollo. There are two giant statues of Kouros constructed by the Venetians that you should not miss. Your next destination is Paros island located around 16 NM east. Moor in Parikia, the capital, main harbor and cultural center of the island. It is amphiteatrically built around the port in a typical Cycladic architecture. A magnificent whitewashed trademark windmill will greet you at the entrance of the port. The town’s road divides the town into two - one side is occupied with restaurants and bars, while the beach occupies the other side. 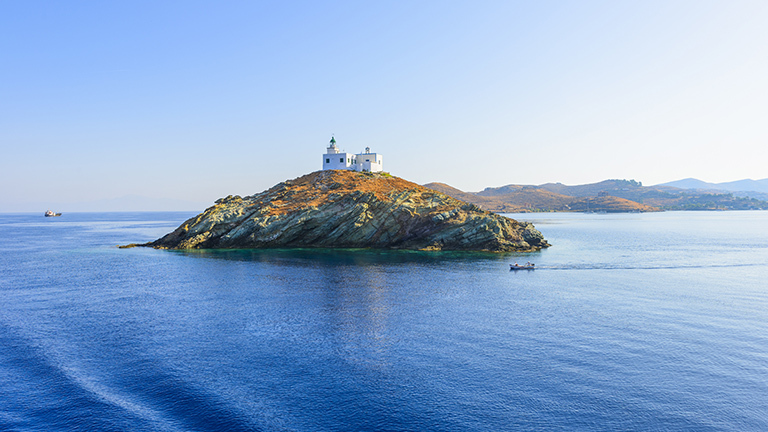 Sail 30 NM to the east-southeast and you will reach the island of Sifnos. Surround the island on its north side to reach a beautiful bay and the village of Kamares, a port village on the island of Sifnos. The island is perfect for relaxing on calm sandy beaches (Cherronisos, Kamares and Vathi) that have watersport facilities and crystal clear sea. 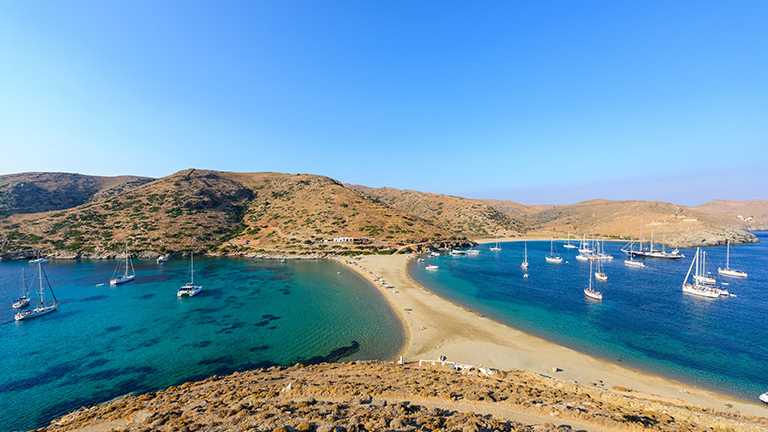 Visit the mountainous island of Kythnos and the village of Loutra located around 32 NM north. The island is a wild beauty with small secluded beaches perfect for complete relaxation. On the west side of the island, there is the most beautiful, the most famous and the most crowded beach - Kolona - a long stretch of sand that gets into the sea thus creating two beaches. Raise your sails to reach Finikas on the island of Syros located around 19 NM east. Enjoy nice and relaxing beaches near Finikas (Kokkina, Fetouri and Finikas beach) equipped with tourist facilities and accommodation. Since Finikas is a rather small sheltered harbor in a naturally beautiful bay, it can get a bit busy during high season. 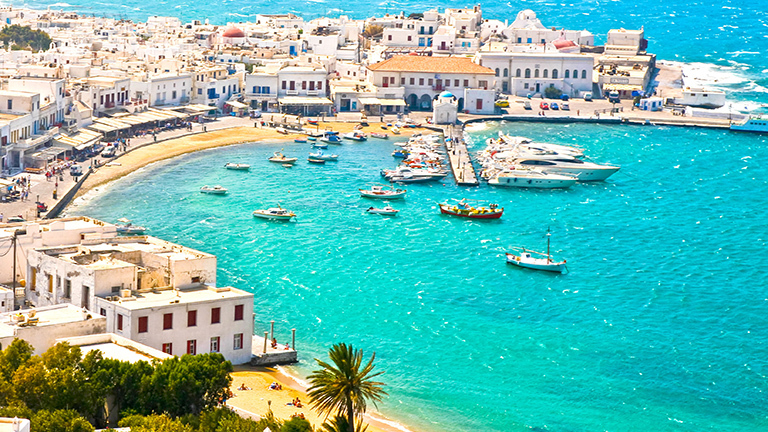 Sail 30 NM east and you will reach one of the most popular destinations in Greece – Mykonos. A luxury, party and the most gay-friendly destination that has something for everyone. Mykonos has up to 300 sunny days per year, so you will be able to soak up the sun on pebbled and sandy beaches of Paradise, Super Paradise, Lia, Aios Sostis and Kalafatis. Refresh yourself with a cold drink in beach bars that turn into party places during the night. Tickle your taste buds with local cuisine: kopanisti (salty and spicy cheese), kremmydopita (onion pie) and lazarakia (sweet spice breads). Pair it with fine wines. 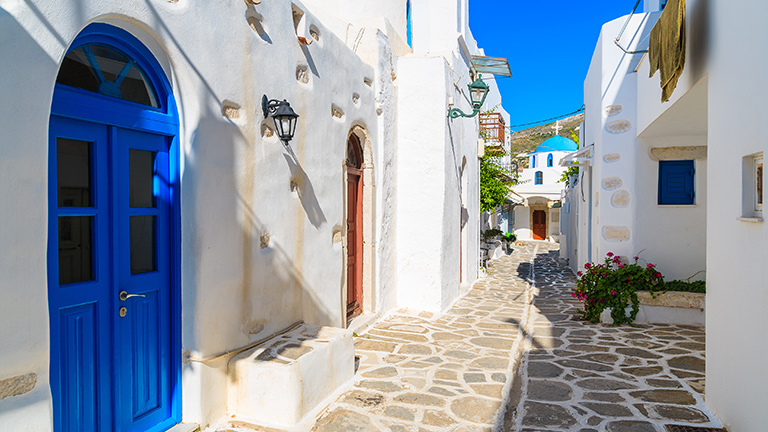 See the whitewashed windmills around the island and in the main town of Chora built by the Venetians. Couples can feel the romance of one of the most photographed spots in Greece - Little Venice, rows of fishing houses with balconies hanging over the sea. Visit the Archaeological Museum, the Aegean Maritime Museum or the Folklore Museum. Spend the night in lively atmosphere of bars and clubs. Make a good use of the morning and swim some more and have breakfast on your yacht. When you are ready, check-out and stroll around town, do some souvenir shopping and soak up the warm sun. Travel home safe. Arrive to Mykonos International Airport and head to the Mykonos Port where you will take a ferry to the island of Paros. Check-in and sail 30 NM to the east and you will reach the island of Sifnos. Surround the island on its north side to reach a beautiful bay and the village of Kamares, a port village on the island of Sifnos. The island is perfect for relaxing on calm sandy beaches (Cherronisos, Kamares and Vathi) that have watersport facilities and crystal clear sea. Moor in Kamares and stroll the narrow paved streets set between stone houses. The village is one of the best-known ceramic production centers in Greece. Make sure to try delicious Greek specialties, such as Greek salad, chickpea soup and Moussaka, in seaside taverns. 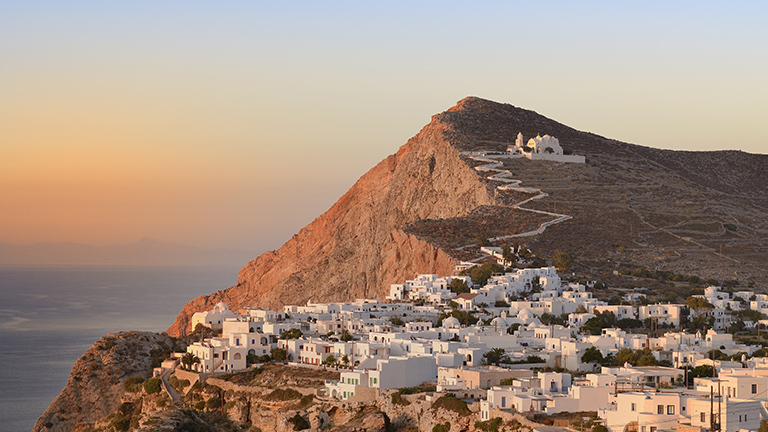 Around 28 NM south-southeast is Folegandros, a charming island with wild landscape. Take a lovely walk to the Panagia church on the hill in the main village of Chora. Visit the Ecological and Folklore Museum in Ano Meia. The most beautiful beach is Agali, but is also the most crowded. Relax while soaking up the sun and swim in emerald green sea on Hohlidia and Vardia beaches. Katergo Beach attracts naturists. Local delicacies consist of pasta, snails, orange pies, fish soup and octopus. Sail to Santorini located around 30 NM southeast. This romantic and colorful island will leave you breathless. Swim in deep blue waters on the Red Beach (red sand, red cliffs), the White Beach (black sand, white cliffs) or lounge on the organized black sand beaches of Perissa and Kamari. See traditional whitewashed houses. Dine in taverns on top of cliffs and have a taste of exceptionally red local cherry tomatoes and white eggplants. Take a sip of one of the best Greek red or white wine and enjoy a stunning view of the black volcano and orange sun setting. Feel the energy of the night by visiting bars and clubs since Santorini is a famous party destination. A bit longer trip awaits you towards Amorgos island located around 40 NM northeast. 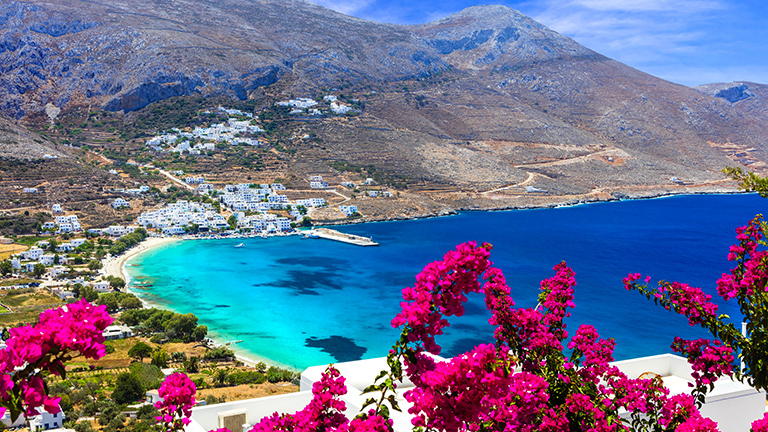 Friendly Amorgos has well-maintained hiking pathways and is great for rock climbing. Walk up to the magnificent Monastery of Panagia Hozoviotissa and get a stunning view of the Aegean area. Relax on secluded sandy Fokiotripa Beach, Maltezi Beach that is only accessible by boat, or long Eyiali Beach with beach bars and taverns where you can have a refreshing drink and meal. Worth visiting is the Bay of Liveros, a rocky beach with a shipwreck on it. Surprise yourself with local cuisine: patatato (lamb coocked with potatoes), kakavia (fish soup) and kalogirous (eggplants with cheese and meat). 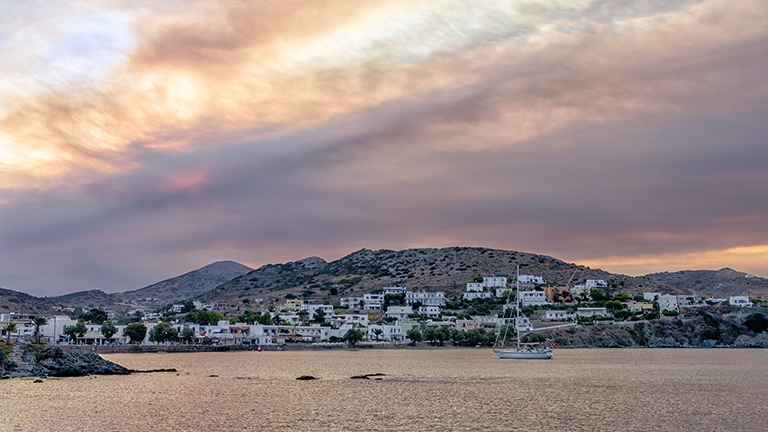 Head 37 NM northwest to Naxos island, the largest and most prosperous island of the Cyclades. Locals are involved in agriculture, so make sure to try local cheese, poratoes, sefoukloti (chard pie), kokoras me makaronia (baked rooster dish with pasta and tomato sauce), kitron (citrus liqueur) and fine wines. Most of the beaches are near the main village Chora, with some of them being organized and some more secluded. Do not miss the opportunity to lounge on white sand of the Blue Flag beach Agios Prokopios. Discover mysterious caves by boat. Walk through traditional villages full of stone houses, take a bike tour or go horseback riding. 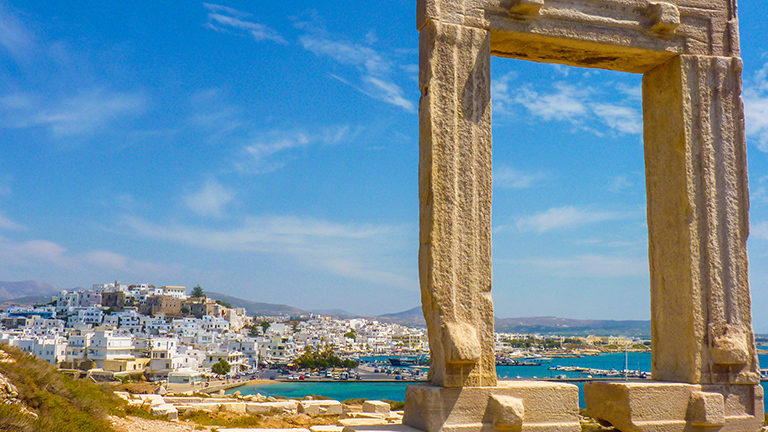 See Portara, the trademark of Naxos, that represents an entrance to a temple dedicated to Apollo. There are two giant statues of Kouros constructed by the Venetians that you should not miss. 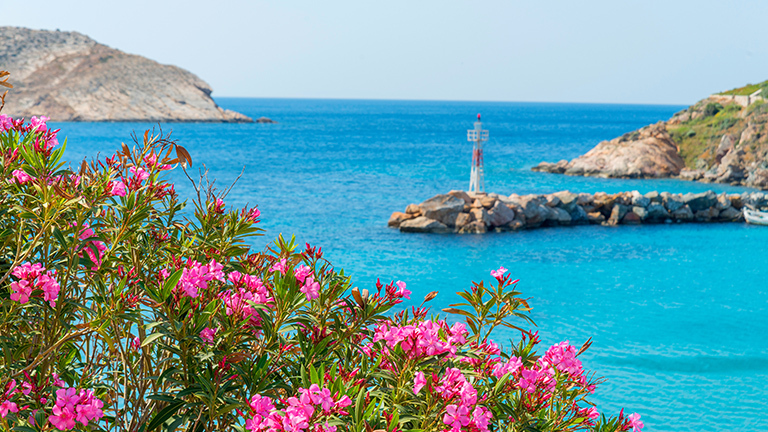 Your next destination is your starting destination – Paros island located around 16 NM east. Moor in Parikia, the capital, main harbor and cultural center of the island. It is amphiteatrically built around the port in a typical Cycladic architecture. A magnificent whitewashed trademark windmill will greet you at the entrance of the port. The town’s road divides the town into two - one side is occupied with restaurants and bars, while the beach occupies the other side. Let yourself enjoy morning sun while having breakfast on your yacht with your friends and family. Make sure to spend some time with locals in café, chit-chat while you make last souvenir shopping and then make your way to the ferry that will take you to Mykonos. Travel safe. Arrive to Santorini (Thira) International Airport and make your way to a marina. 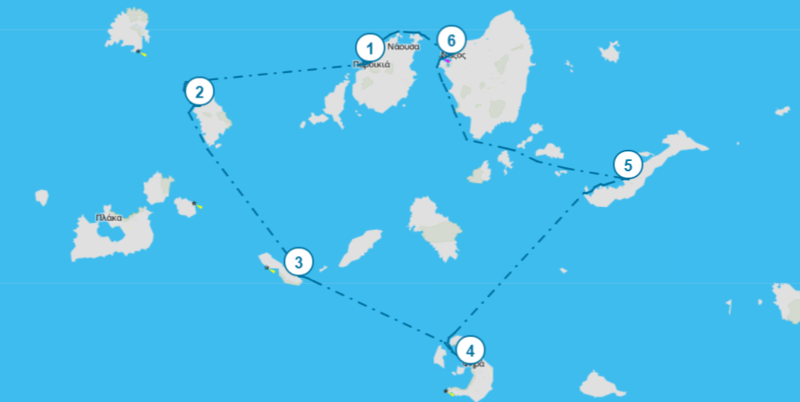 After check-in, start sailing 22 NM north to reach your first destination, Ios island. It is a hilly island with cliffy that stretch down to the sea, but also, allegedly, a resting place of the epic poet Homer. Moor in the Port of Ios and take a walk up to the village of Chora that is full of stairs and with no traffic, thus offering peaceful atmosphere. There are 365 churches and chapels on the island and you can get the best views from Panayia Gremiótissa. Lounge on golden Mylopotas Beach, one of the longest and finest in Greece, and swim in crystal-clear waters. If you are looking for more privacy, choose Manganari Beach that can only be reached by boat. 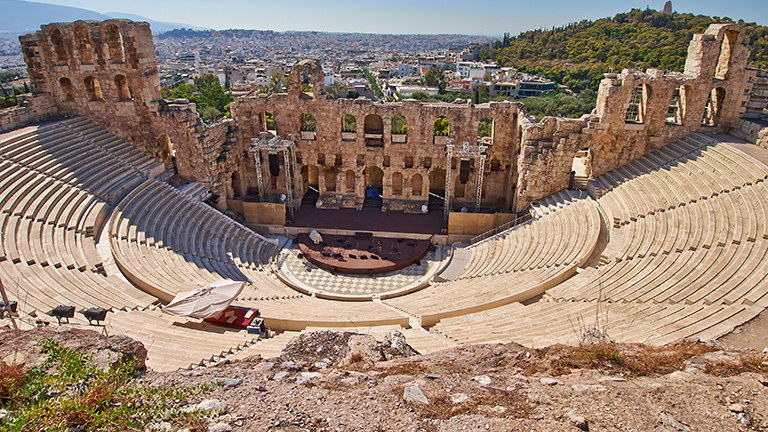 Visit the magnificent Odysseus Elytis Amphitheater that hosts cultural performances. Try local cheeses from goat or sheep milk, most famous being skotiri (sour cheese). Also try popular dishes such as tsimediá (pumpkin flowers stuffed with rice), mermitzéli (handmade barley) and mosénta (watermelon pie), or opt for fresh fish in restaurants. Ios has a lively nightlife, so expect a lot of crowds during the evening and night. Your next destination is Paros island located around 26 NM north. Moor in Parikia, the capital, main harbor and cultural center of the island. It is amphiteatrically built around the port in a typical Cycladic architecture. A magnificent whitewashed trademark windmill will greet you at the entrance of the port. The town’s road divides the town into two - one side is occupied with restaurants and bars, while the beach occupies the other side. Sail 26 NM north-northeast and you will reach one of the most popular destinations in Greece – Mykonos. A luxury, party and the most gay-friendly destination that has something for everyone. Mykonos has up to 300 sunny days per year, so you will be able to soak up the sun on pebbled and sandy beaches of Paradise, Super Paradise, Lia, Aios Sostis and Kalafatis. Refresh yourself with a cold drink in beach bars that turn into party places during the night. Tickle your taste buds with local cuisine: kopanisti (salty and spicy cheese), kremmydopita (onion pie) and lazarakia (sweet spice breads). Pair it with fine wines. 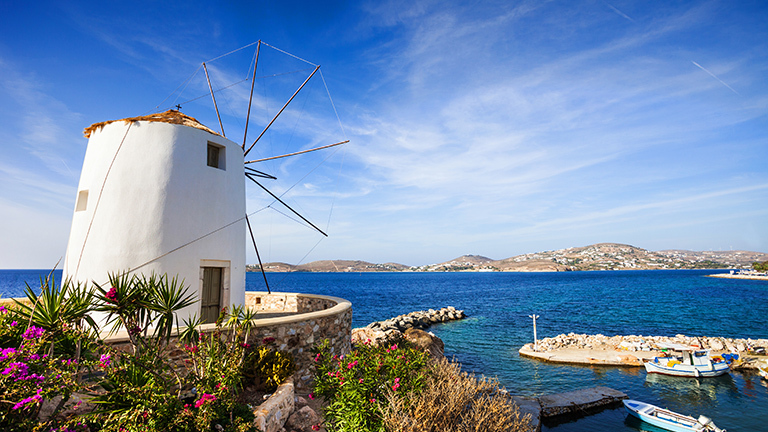 See the whitewashed windmills around the island and in the main town of Chora built by the Venetians. Couples can feel the romance of one of the most photographed spots in Greece - Little Venice, rows of fishing houses with balconies hanging over the sea. Visit the Archaeological Museum, the Aegean Maritime Museum or the Folklore Museum. Spend the night in lively atmosphere of bars and clubs. 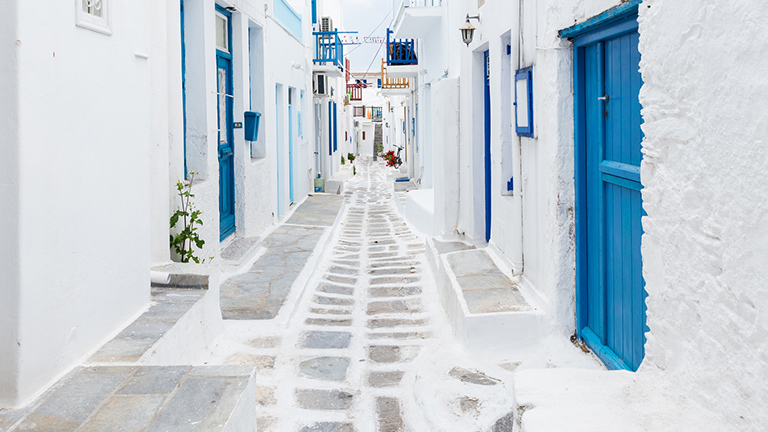 Head 22 NM south to Naxos island, the largest and most prosperous island of the Cyclades. Locals are involved in agriculture, so make sure to try local cheese, poratoes, sefoukloti (chard pie), kokoras me makaronia (baked rooster dish with pasta and tomato sauce), kitron (citrus liqueur) and fine wines. 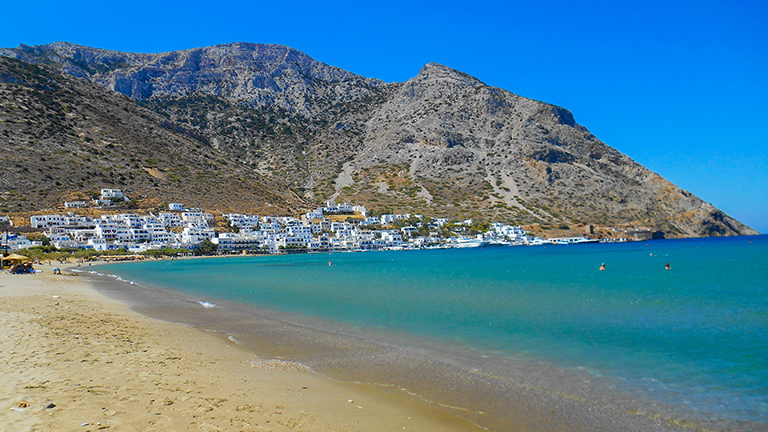 Most of the beaches are near the main village Chora, with some of them being organized and some more secluded. 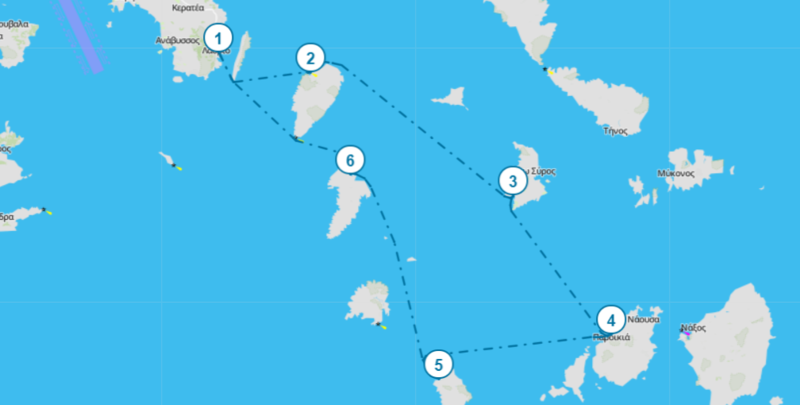 A bit longer trip awaits you towards Amorgos island located around 37 NM southeast, but you can make a swim stop in between small neighboring islands. 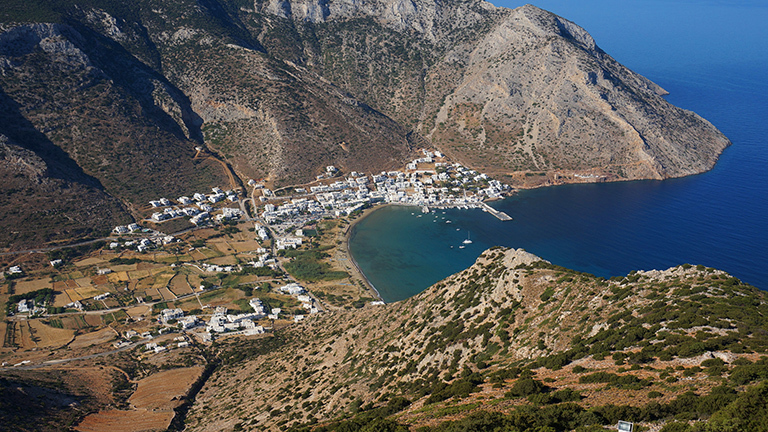 Friendly Amorgos has well-maintained hiking pathways and is great for rock climbing. Walk up to the magnificent Monastery of Panagia Hozoviotissa and get a stunning view of the Aegean area. Relax on secluded sandy Fokiotripa Beach, Maltezi Beach that is only accessible by boat, or long Eyiali Beach with beach bars and taverns where you can have a refreshing drink and meal. Sail to your starting destination Santorini located around 40 NM southwest. 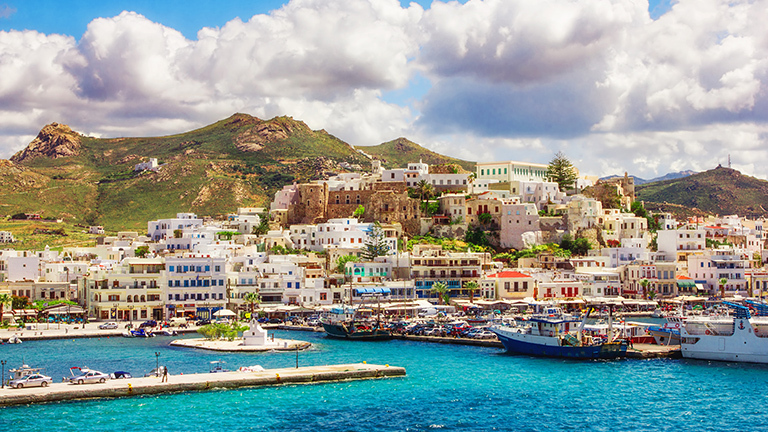 This romantic and colorful island will leave you breathless. Swim in deep blue waters on the Red Beach (red sand, red cliffs), the White Beach (black sand, white cliffs) or lounge on the organized black sand beaches of Perissa and Kamari. Interested in Sailing Holiday in Cyclades?